Smart Optometry™ application is an interactive smartphone and tablet application for eye screening and quick diagnosis. First of its kind – it provides eye-care practitioners with a simple to use, fast, precise and interactive experience. Smart Optometry brings freshness and innovation to the eye-care profession. It promotes eye health, educates the public and motivates clients to collaborate effectively. Try Hirshberg test to determine strabismus. Interactive Amsler grid let’s you examine patients visual field! Difference between the development of the eyes? Test away! Eye screening and testing shouldn’t be difficult and inconvenient for neither practitioner or customer! Smart Optometry application is very simple to use: just select the test, read through short guidelines for performing the test, execute it and let our application give you the final result: basic diagnosis or point you in the direction of possible problems that need more thorough examinations! While you are filling out paperwork for a patient, he or she can already test his or her eyesight with basic tests provided by Smart Optometry application. There is no logistics involved in performing the tests: just pick up your iPhone or iPad and test-away! Eye testing and screening often requires eye-care professionals to make calculations – giving the room for error. Eliminate this risk with precise calculations and interpretations done by our Smart Optometry application. Our tests are as precise if not more than the currently used testing equippment. There are some other features that Smart Optometry PRO is offering to you. 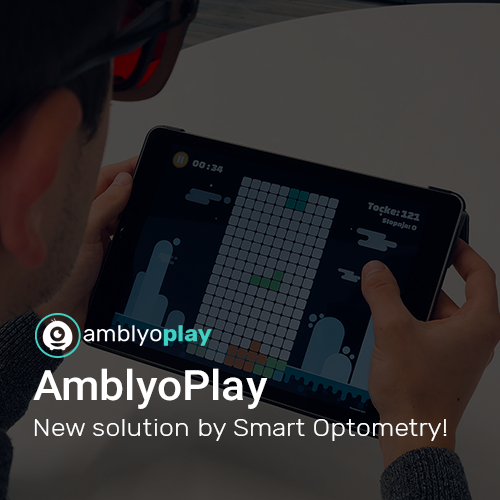 Smart Optometry PRO comes with useful calculators for converting glasses power to contact lenses power or converting visual acuity to different units. Being up-to-date with latest news and developments in eye care industry gives you an edge and an opportunity to offer your clients state of the art and well informed service. Smart Optometry PRO and LITE brings you daily curated news from around the world: what is new, what breakthroughs were made and how others are succeeding in providing their patients with best care possible. Gain direct access to your customers (eye care specialists) through advertising in our professional medical application! New solution for children with vision symptoms! Find out more on wwww.amblyoplay.com!